Throughout most of the season, Central Penn Panthers Forward Brenden Yingling saw his name at the top of the Points Leaderboard. The 2001 Pennsylvania native is averaging 3.19 points per game, registered a point in all but one of his 32 games, has 7 hat tricks and currently has 42 goals and 60 assists for 102 points. The 6’1 205lb skater registered his 100th point in the Panthers 2-7 loss to the Philadelphia Little Flyers on January 26, 2019, with an assist at 18:39 in the second period on a goal from Declan Murphy. Brady Lindauer made his commitment to play NCAA D3 hockey with St Mary’s University earlier this season. 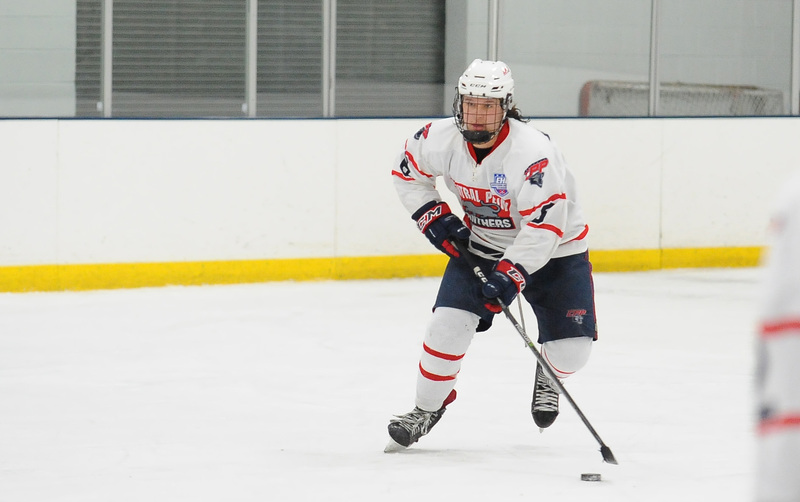 The 1999 Illinois native registered a point in 30 of 32 games, is averaging 3.22 points per game, with 6 hat tricks and currently has 49 goals and 54 assists for 103 points. The 5’10 180lb skater was the first skater to earn his 100th point with an assist at 17:12 in the first period on January 25, 2019 and surpassed Yingling on the Tier 3 Points Leaderboard. Both skaters join a small group of players to achieve this feat throughout Tier 3 History. Mike Padgeon of the Binghamton Jr Senators currently sits with 94 points and may join Lindauer and Yingling before the season is out. Misha Akatnov (Missoula Jr Bruins) with 89 points and Brandon Osmundson (Hampton Roads Whalers) with 88 points are also closing in on 100 point seasons. Plenty of hockey left before the regular season comes to a close and we’ll be keeping a close watch on all these players.